Quite a while ago, I dined once at Dubrovnik, on a company’s dinner and did not quite enjoy myself with the food served. Either we had all ordered wrongly, or that night the Chef has an off day or they were still new just then, the food did not quite live up to the expectation, especially at the price it was offered in. Thereafter, I have not return to the restaurant again. Then one fine day, I got invited by Frat and Alice George Communication to have a food review at Dubrovnik. My eyes perk up, memory flashes back to my old encounter and then decided to forget that and goes for a fresh start. After all, everyone deserves a second chance. And true enough, this was a deserving one. Before I head on to talk about the food, let me explain a little of what Dubrovnik is, it is the only Croatian restaurant in Malaysia, named after a city and brought to you by Chef Zoran who has since moved to Malaysia since 12 years ago. 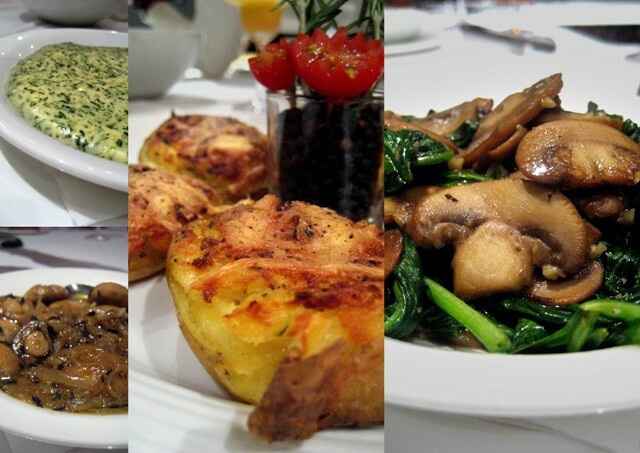 Chef Zoran takes pride in making his own pasta and bread and even have a wood fire oven in the kitchen! The restaurant boasts clean and simple design, with clear lighting and plain white and dark bluish grey theme. So back to the food! At this round of food review, as later also explained by the Chef, is that they are trying to showcase lamb, and how it can be cooked in many ways while holding true to Croatian style of cooking. We are served lamb in many forms from bare baked lamb to lamb baked in cheese to even lamb burger. Are you feeling hungry already? But before that, let us start with some carbs to line the stomach first. We were served with two hand-made pastas in completely different form and sauces. I simply love the Prawn Orzo, because of the pasta. “It is not rice-pasta, it is pasta shaped in form of rice” I keep hearing it from Dina, General Manager of Dubrovnik and daughter of Chef Zoran, as we unassuming bloggers keep saying “oh it is rice pasta” whenever one asks another what is it. Anyway, I digress, this dish is amazing. The pasta shaped like rice is slight chewy yet with bite in small forms, it was in fact a delight to eat and not to mention the sauce complements it really well along with lovely big fresh prawns. Ah, I wish to eat this again! Dina was asking whether it is alright to put this on the menu (it was a new creation), and all of us reply with a resounding ‘YES!’ The spaghetti ala Buzara was quite good as well with lashings of olive oil, garlic and parsley, just that the Prawn Orzo got the bigger limelight. Anyway on to the real limelight of the night that is the lamb, the lamb and the lamb. Yes you heard me right, the lamb! First up was the Lamb Peka, where the lamb was present at its most naked glory. The lamb is seasoned with pepper and salt and some special Croatian spice mix call Vegeta (mentioned in the brief recipe provided to us) and then placed on top of potatoes, carrots and celery and then slowly baked in the wood fire oven covered by an iron bell. Just writing the recipe makes me want to eat it again, though I must say the lamb was slightly on the salty side, other than that it would have been great! Then onslaught to the next lamb, which is lamb buried in mounts of cheese and tomato sauce and baked till it is all soft and ready to melt in your mouth – Lamb Goulash. And it was oh so good, actually my favourite lamb (yes, of ALL the lambs) of the night, soft, tender, smooth, with the lamb taste still very strong through the rich sauce! Though I do wish I had better companions to eat with this rich dish or maybe to have a bread to mop up all the saucy goodness. After that came the youngest, or rather cutest lamb of all that is the Lamb Burgers. I just can’t help but smile at the plateful of mini burgers huddle together on a plate. So cute but still we need to eat it right, and chomp it down I did. It was good burgers I say! Love the mini buns which were like home made style, and the lamb was flavourful and good (though after a while it was slightly too salty again) and with the surprise feta cheese in the middle was a good finishing touch to this miniature delight. After when all was devoured and we rest a while chit-chatting, Frat nudge me and whispered “Do you want to have another burger?” My eyes lifted and look at them beckoning at me, so I whispered back excitedly “Yes sure!” So he took one of the babies and passed to me, everyone asked “Whoa, how many you had?” I answered cheekily “Just one and a half”, as my first one I shared with Ruth because I was afraid there weren’t enough to pass around (ok, I admit I was not sure if it would be good and I want to save my tummy for the rest of the food, ahem) but since it was good and we have more than enough left, I have another again. Besides, Frat offered me. Ending with a sweet note, overall individual dishes as it came, I would recommend you to try out the Prawn Orzo (if it gets onto the menu), all the lambs – Lamb Peka, Lamb Goulash and Lamb Burgers, and ask for some bread or something light to accompany, call some good wine or cocktails, and then end with a sweet note of Crepe Suzette. Lovely! So if ever you decide to splurge and to taste Croatian food, do give Dubrovnik a try. *pats Rachel's back* very well written! bangsar-babe, yes all his fault! The naked lamb looks scary to me, hahaha... But got to admit I am not a lamb person. 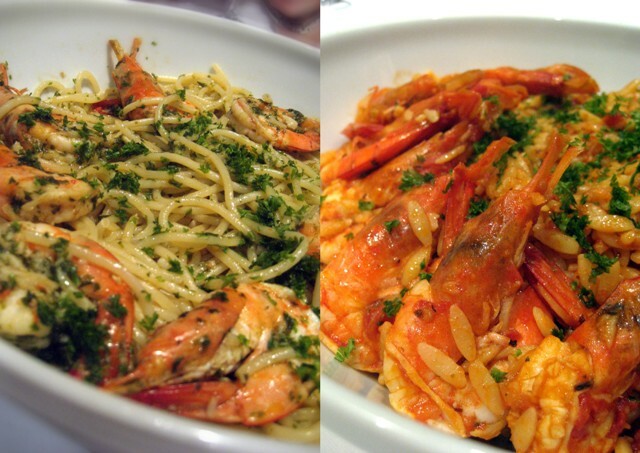 However, the Spaghetti Ala Buzara and Prawn Orzo do catch my eyes, it look divine.